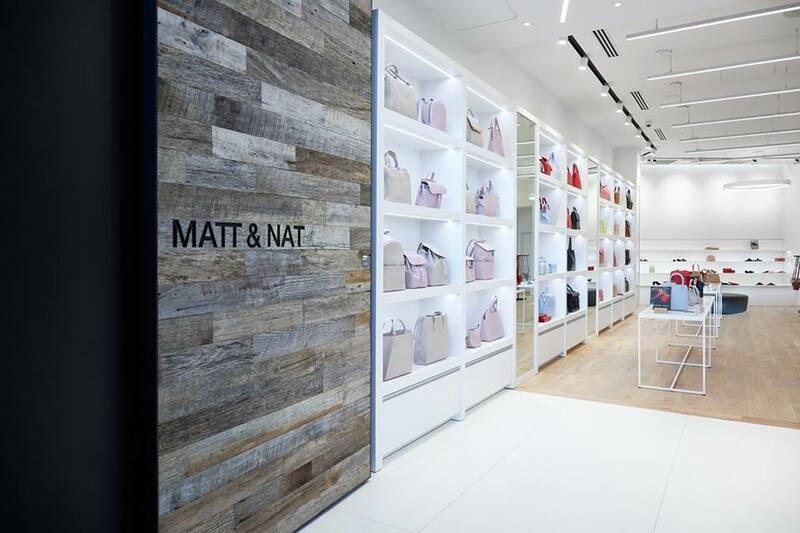 Matt & Nat Opens 1st Store in Western Canada: Montreal-based eco-friendly accessory fashion brand Matt & Nat is continuing with its aggressive expansion that will see storefronts open throughout Canada and the United States. Last week the brand opened at Calgary’s CF Chinook Centre, featuring Matt & Nat’s simple, yet attractive store design. 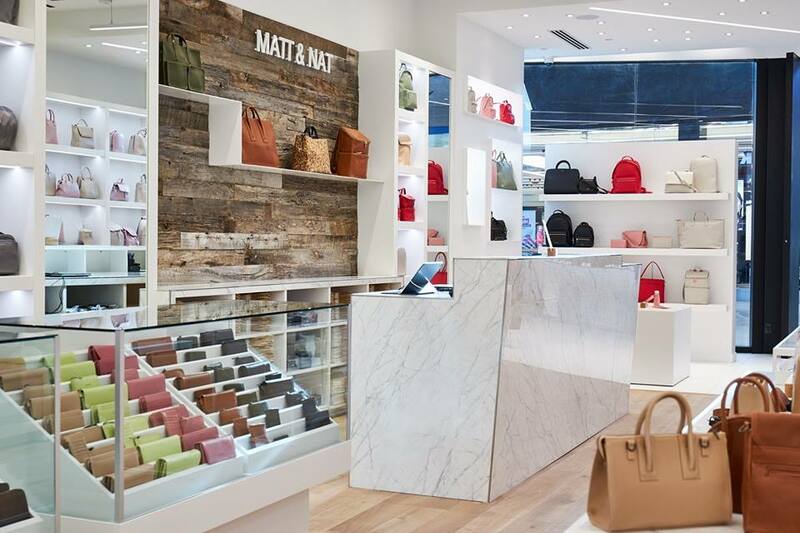 The highly respected Matt & Nat brand (short for “mat(t)erial” and “nature”), which was founded in Montreal in 1995, is known for not using leather or any other animal-based materials in its bag and accessory designs. Since 2007, it has been committed to using linings only made out of 100% recycled plastic bottles, and it recently introduced recycled bicycle tires to its collections. The brand launched with a collection of accessories and it has since expanded to also carry a range of footwear designs. Matt & Nat wholesales to retailers in Canada as well as globally, and it also has a robust ecommerce business at mattandnat.com/shop. The CF Chinook Centre boutique spans about 1460 square feet and is located on the second level of the mall. CF Chinook Centre has been adding upscale retail over the past several years. Nordstrom opened its first store in Canada at the mall in September of 2014, which was followed by Saks Fifth Avenue which opened in February of 2018. 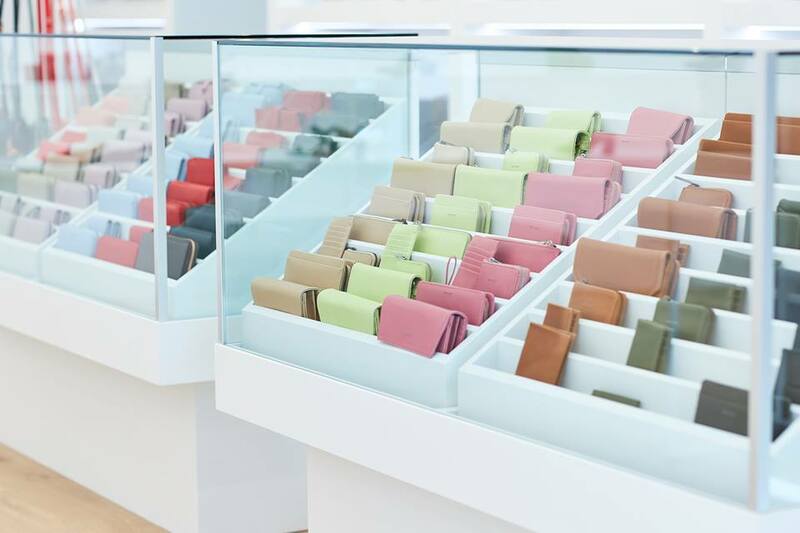 Louis Vuitton also opened a store several months ago with brands such as Aesop on the way as well. 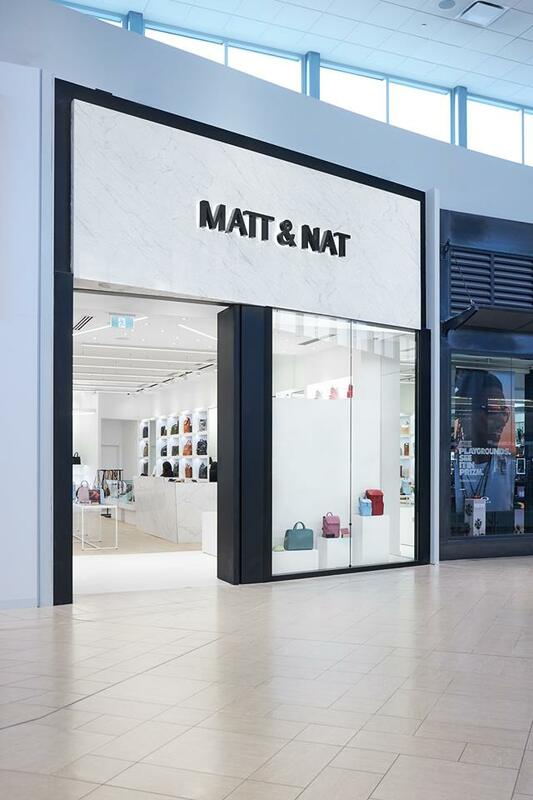 Matt & Nat opened its first retail store at CF Carrefour Laval in suburban Montreal in March of 2016, and now has nine stores in the Montreal and Toronto areas as well as in Ottawa and, now, Calgary. A pop-up in new York City’s Soho area is the first of several locations for the brand south of the border, according to Manny Kohli, President and owner of Matt & Nat. Matt & Nat is working with brokerage Oberfeld Snowcap for its store expansion, under the direction of Jay Freedman and Jessica Millet. 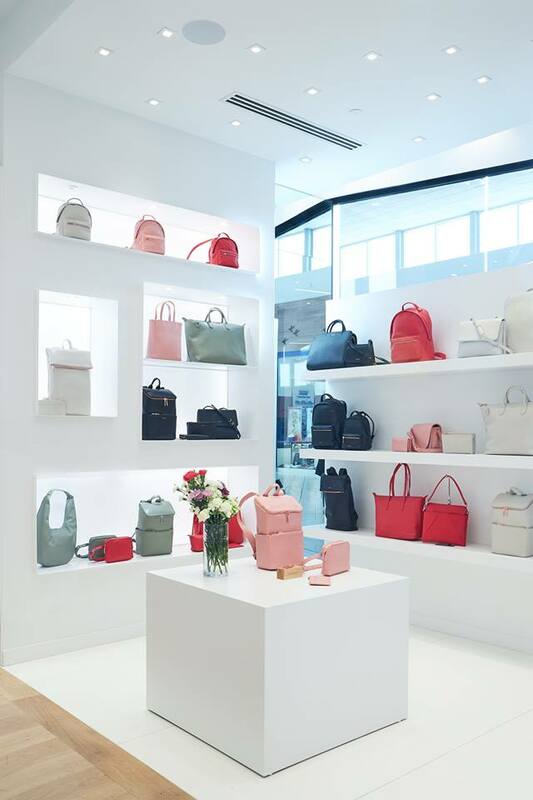 Reitmans to Decrease Retail Footprint and Reduce Order Delivery Time: Long-standing Canadian womenswear retailer, Reitmans, has shuttered close to 40% of its retail stores, according to a French language report in La Presse. Reitmans has also closed 3 of their clothing banners: Cassis, Smart Set, and Hyba. The closures occurred over a 10-year period in an effort to adapt to the changing retail market in Canada. Reitmans’ current store count sits at 600 with: 263 Reitmans stores, 115 Penningtons locations, 81 Addition Elle boutiques, 83 RW & CO shops, and 58 Thyme Maternity outlets. Another 25 – 40 closures are estimated for the coming year. Discussing the closure of Hyba stores, Reitmans’ Chairman and CEO Jeremy Reitman likened the endeavour to fitting a square peg in a round hole. The company ultimately decided that the amount of work required to make the Hyba locations work for the brand outweighed its projections and the stores were closed. The Hyba brand still lives on as an offering within Reitmans stores. Reitmans is looking into adjusting its order fulfillment model, planning to make changes at store-level that will see them become smaller scale warehouses. This change is said to reduce delivery time by two days; Reitmans has tested the concept with RW & CO and intends to extend it to the rest of its brands. Despite the closures, Jeremy Reitman is pleased with the company’s year-end results as well as the growth they’re seeing with its e-commerce division. Upscale Grocer Urban Fare Prepares to Open 1st Calgary Storefront: BC-based grocery chain, Urban Fare, is coming to Calgary’s Mount Royal Village shopping centre. 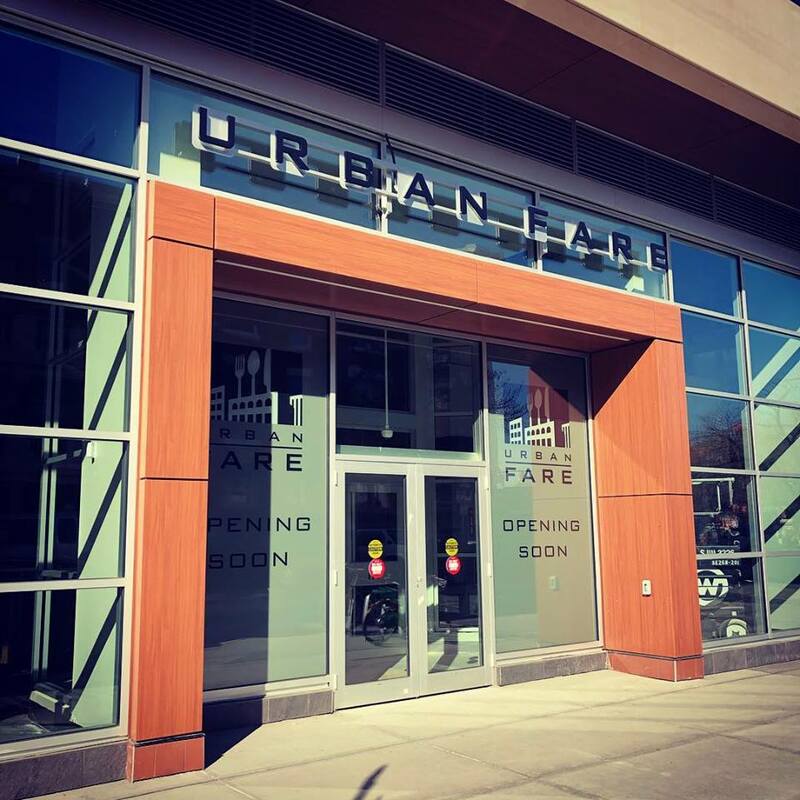 The nearly 27,000 square foot store is slated to open on April 26th, marking Urban Fare’s first location outside of British Columbia (at least in recent memory, that is, see below). Premium offerings at the Mount Royal location will include: a full-service Starbucks, wine and charcuterie bar, sushi featuring Ocean Wise-certified fish, poke bowls, and pizza stations. Shoppers can expect to find freshly-baked artisan breads, hot buffet and salad bar, as well as a plethora of cheeses that go perfectly with their wines and tap craft beers. Urban Fare’s new location is part of an expansion of the Mount Royal Village. The neighbourhood was acquired by First Capital Realty in 2011 and the real estate company has been working on moulding this property in the image of Toronto’s Liberty Village and Yorkville Village, which it also owns. The addition of this unique grocery concept will further support First Capital’s efforts to transform Mount Royal Village into Calgary’s hub for shopping and entertainment. Interestingly, Retail Insider first reported on Urban Fare’s Calgary store in January of 2014, which means that more than five years have passed since the first announcement. As well, Urban Fare opened a store in Edmonton’s Crestwood area in 2001 and it closed in 2004 due to poor sales. Parent company Overwaitea may again look to make Urban Fare a chain in cities outside of Vancouver. 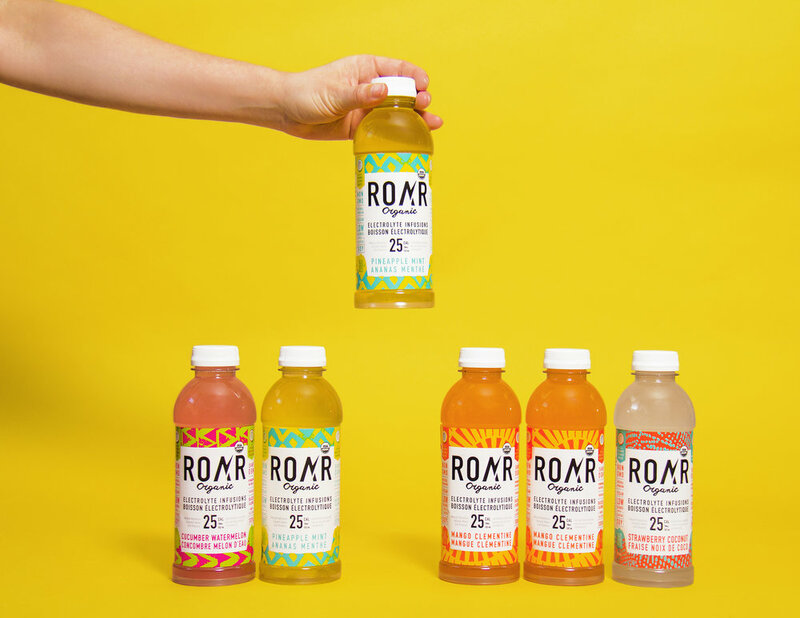 Organic Electrolyte Beverage ROAR Expands into Canada: ROAR Organic Canada is serving up a chilled bottle of organic hydration for your enjoyment! The brand offers a cutting-edge, delicious line of organic, and low calorie electrolyte drinks. Not only are the beverages packed with natural electrolytes and b-vitamins, they contain 25 calories per bottle and less than 5 grams of organic cane sugar. 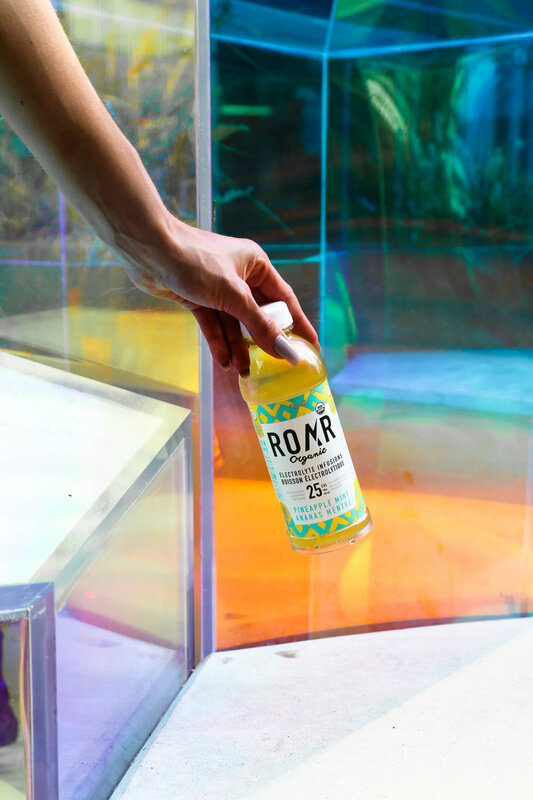 ROAR uses a Proprietary Electrolyte Blend created with organic coconut water and sea salt; their USDA and Canadian Organic Certified hydration is designed to help you reset, refresh, and rejuvenate. Because ROAR isn’t packed with sugar and preservatives, it’s a guilt-free alternative to water. Some people like to drink ROAR to rehydrate during or after physical activity, while others have incorporated it into their daily lifestyle. From pre-marathon to post spin class, lunch break sips to Sunday morning hangover cure, the brand is looking to see you ROAR. Show them how using the hashtag #drinkROAR. A&W Celebrates 100-Years of Burgers and Root Beer: Canada’s favourite root beer and Burger Family will celebrate 100 years of business on June 20th, 2019. Roy Allen opened the company’s very first root beer stand in Lodi, California. When employee Frank Wright became Allen’s business partner, the well-known A&W moniker was born. Richard Bolte and Orval Helwege brought the drive-in concept to Winnipeg, Manitoba in 1956 where it remained in its original location beside Park Gasoteria until March 2015 when they moved to a new restaurant on Portage Avenue. 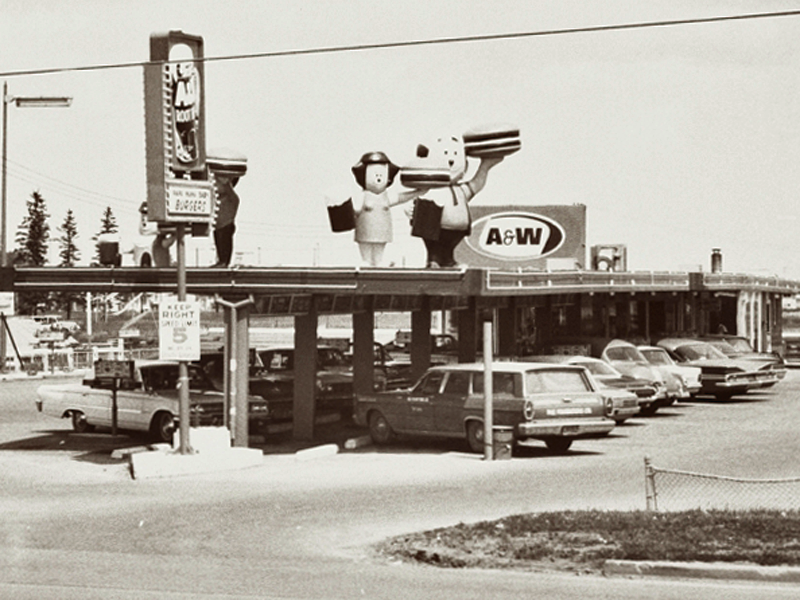 A&W was known as a drive-in restaurant through much of the 1960s but by the early 1990s they were replaced by indoor restaurants and food court locations. A&W continues to be best known for their signature root beer (and its secret recipe), as well as their Burger Family featuring the: Baby, Mama, Papa, Teen, Grandpa, Uncle, and Buddy burgers. You can’t remain in business for 100 years if you aren’t evolving; 2018 saw the introduction of A&W’s first vegan offering: The Beyond Meat burger. The launch was so successful that the company experienced a stock shortage lasting three months. 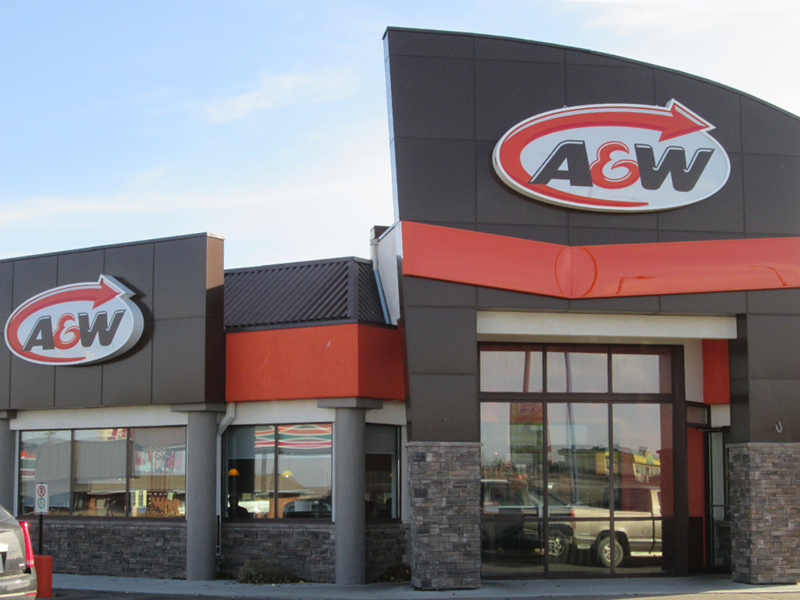 Congratulations to A&W on their 100-year anniversary! Canadian Canned Air Company Boasts $300,000 Annual Sales: When one thinks of Canada’s greatest exports things like maple syrup, poutine, and Wayne Gretzky come to mind. But perhaps Canadians have overlooked one of this country’s greatest resources – something you wouldn’t think international customers would want to get their hands on. Two words: fresh air. 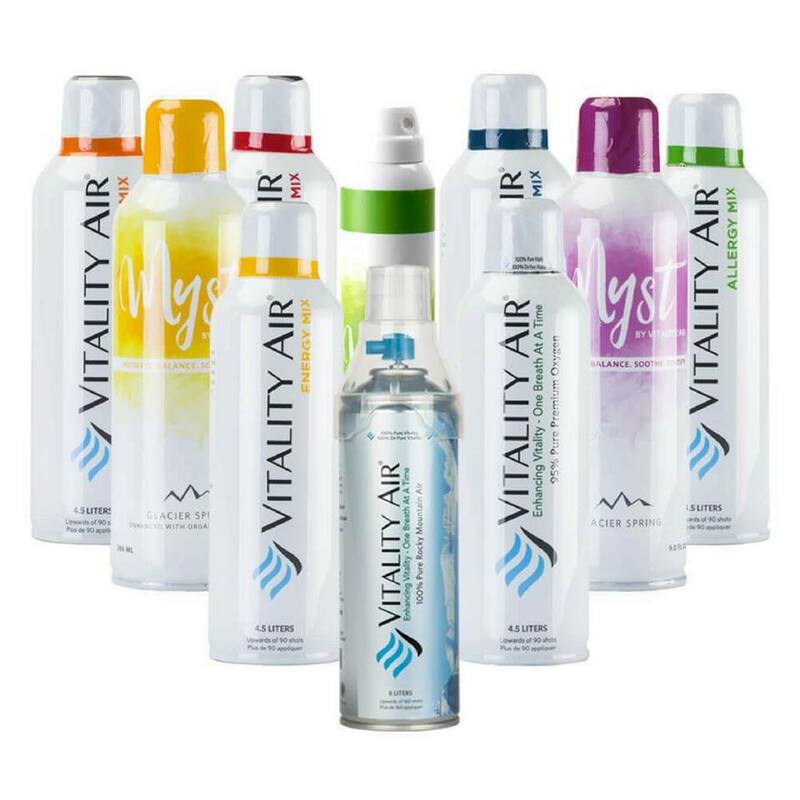 Moses Lam and Troy Paquette have managed to tap an untappable resource and are seeing success selling their canned air product, Vitality Air, through e-commerce and retail outlets in South Korea. The duo is working on an expansion into China and India alongside European distributors. Vitality Air states their annual sales have been approximately $300,000; the company expects that number to jump into the seven-figure range. The company’s target market is places like Korea, Vietnam, and Dubai – places where air pollution is a major issue. Shoppers can purchase an 8L cannister of air, complete with mask for $32.00 on the Vitality Air website and it comes in two versions: Banff and Lake Louise, and is often a popular souvenir for people who have visited the tourist spots. Lam and Paquette realized there was a market for their product when they sold a Ziploc bag of air for $168 USD on eBay. Paquette compares their product to the idea of bottled water, which also seemed ridiculous when it was introduced. Vitality Air made an appearance on CBC’s “Dragon’s Den” in the hopes of securing an investment from all or some of the Dragons; they were not keen to invest in the company. Customers can also explore their range of concentrated, flavoured oxygen products. Vitality’s Asian markets will soon be able to enjoy mango-flavoured oxygen.